I took today off from my normal routine as of late (which is posting on the Edgehill Press site in support of my new book, “Tamarindo; Crooked Times in Costa Rica“, it is a work of fiction about 3 unlikely heroes in Costa Rica who by various underhanded ways achieve some measure of success in the surfer town of Tamarindo). Instead I went out looking for caves so as to prepare for my usual summer of assorted caving explorations. Our initial leads fell short today. We spent some time near Short Hills Provincial park investigating a rumor, as we were unsuccessful JC and I visited this spot out in the forest hoping to find other sinkholes. There are several other similar pools beside a river that runs along the edge of farmland. This spot was located by an associate who was using aerial photographs. The pools bubble in the spring – and after a rainstorm they boil like a kettle. Though the nearby stream entirely sinks about 500 meters upstream and then resurges 50 meters away there is apparently no connection to the water that is bubbling out here. Some years ago, in an effort to trace the source, two friends of mine dug out a fair bit of rock (the pool is about waist deep) and then one of them wiggled up a pheratic tube for about 200 feet. There was some obstruction at that point and he had to turn back. 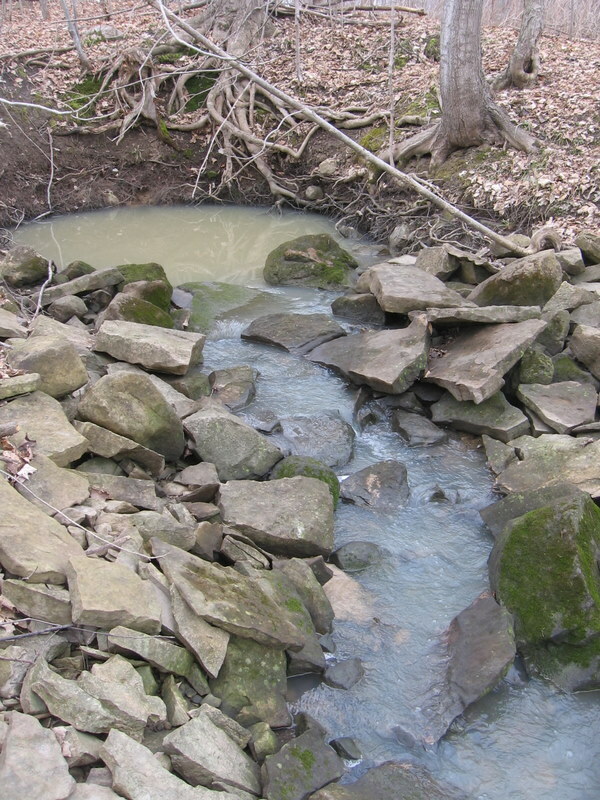 You will notice that the water is milky with the clayish soil from nearby fields. In exploring the underwater tunnel it was done entirely by feel, and I would imagine – pushing the tank along in front. 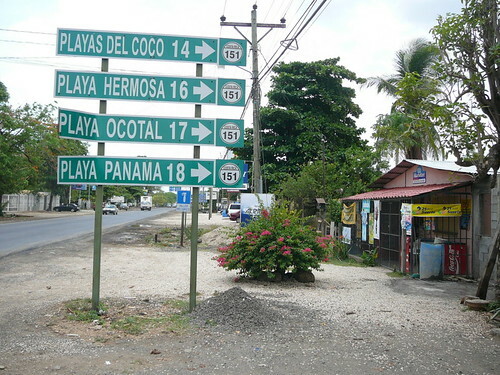 A map of Costa Rica will be confusing in the maze of convoluted roads along the Guanacaste shoreline. Here we are, several world class beaches within about 20 minutes drive. But where to surf in Tamarindo? A simple map of Costa Rica with some broad destinations plotted relative to each other might sometimes be the way to go. Follow road signs and ask the locals and providing time is not an issue you will get there. As they say in Costa Rica – Pura Vida! Check my simple map of Costa Rica here.